TXAB: The Christ Almighty Blog: “Biblical principles” and extrapolating new commands. Y’know how there are laws of nature? As I said, nobody decreed the laws of nature. There are certain Christians who claim God decreed ’em: When he created the cosmos, he didn’t just say “Let there be light,” Ge 1.3 but must’ve muttered under his breath, “And let there be gravity”—plus all the other “laws of physics” which determine how the universe works. They’re not the way things work on their own; they’re the way things work because God decided that’s how they work. To me, this idea just shows these Christians know bupkis about science… but really like the idea of God’s sovereignty, and decided to explain science with it. It’s no more scientific than Galen of Pergamon’s beliefs about how bodily fluids govern our personality types… but if you don’t respect science any, junk science and sciency-sounding ideas will do for you. As Galen’s ideas did for Tim LaHaye. Yes, God made a complex universe. But it doesn’t run by divine decree—as demonstrated whenever God ignores the laws of nature. When Jesus was raptured into heaven or walked on water, gravity didn’t matter. And when we defy gravity—by using the principles of aerodynamics to defeat it with our airplanes, helicopters, and drones—God’s hardly gonna punish us for breaking “his” rules. Contrary to what some Christian pastors actually did teach in the 1800s, it’s no sin to build flying machines! God never spelled out the laws of physics. Scientists had to deduce ’em. Likewise God never spelled out any of the “biblical principles” which many a Christian preacher bases their sermons on, and many a Christian guru bases their books and seminars on. Christians had to deduce them. And sometimes they deduced them rightly… and sometimes not. But unless we double-check to make sure these preachers did their homework and quoted the bible properly, we don’t know which is which. And sad to say, Christians seldom bother to double-check anything. We accept the teachings because they appeal to us. Not because we know the scriptures well enough to say amen. But whether God actually created such “principles” or not—whether Gothard actually detected the ancient middle eastern worldview, which ain’t necessarily that of the Holy Spirit who inspired the bible’s authors—I remind you God didn’t make them commands. And like the law of gravity, he didn’t decree any consequences if we bend or break these “principles.” They’re not sins. Yet when Gothard teaches these principles, he makes a point of warning his listeners: When we violate them there totally are consequences. He’ll share testimonies of people who violated them, and thereby suffered consequences. He’ll quote proof texts which indicate we’re in deep doo-doo with God if we violate “his” principles. And culturally conservative parents love this about Gothard. That’s why they send their kids to him. They wanna perpetuate conservative Christianism, and scare their kids into behaving themselves by dangling the wrath of God over ’em. Fear’s a really useful motivator. It’s not of God, but still. Debt’s a bad idea. Not a sin. Fundamentalists respect the bible. It is God’s word y’know. But must we obey every command? Like the commands for ritual cleanliness? Well there, Christians disagree. Some of us say we absolutely should; they’re in the bible, they’re commands, God said ’em, we do ’em. Still others point out that since the Holy Spirit indwells believers, he makes us ritually clean, not the commands; we don’t need to be pure for temple because we’re already God’s temple, 1Co 3.16 and therefore the cleanliness commands are optional in the Christian Era. That’s the top three interpretations; there are others. Some are well-thought-out. Some are purely selfish justifications for irreligion, and as such it doesn’t matter whether they stumble into the right answer; their motives are evil, so they’re sinning. But I digress. Most Fundies are fully aware not every bible verse must be obeyed like law. But many Fundies aren’t. New Christians and young people—you know, like those who attend Gothard seminars—aren’t. So when Gothard starts listing proof texts for why his “biblical principles” must be followed, Christians aren’t always aware some of those texts aren’t commands. They’re advice. Gothard quotes an awful lot of Proverbs. Hey, there’s a lot of good stuff in there! But proverbs aren’t commands. They’re wisdom literature, which means we gotta use wisdom to determine whether they apply to our particular circumstances. ’Cause sometimes they do… and sometimes they don’t. At all. But Gothard’s not teaching situational ethics; he’s teaching principles. Stuff you always live by. Stuff that’s not optional depending on circumstances. Lifestyle rules which you obey. In Proverbs, Solomon comments a borrower is a lender’s slave. Pr 22.7 He didn’t just mean it figuratively; middle easterners were sold into slavery to pay debts. The consequences for debt back then were dire. The consequences for debt today? Well, the United States abolished debtors’ prison, created bankruptcy protections, banks have insurance in case people default, and as a result Americans can still get credit cards even if we default on mortgages. Does Solomon’s verse even count in the United States anymore? It does… but Americans take debt so casually, “slave” is now hyperbole. Yeah, I realize in saying this, older Fundies are gonna erupt in fury. “It still applies! It’s God’s word! His word won’t return void!” And so on. “When you go into debt, you’re still doing damage to your good name!” Well, you really aren’t when everybody is in debt… and just about everybody is. Even if I personally owe no debts, the United States government owes so much money, our lenders will never call in the debts for fear of cratering their own economies. And as much as Fundies like to pretend they and their leaders are wholly different entities, I remind ’em that (ironically enough) it’s a biblical principle that God judges nations as a whole. Gothard deduced it’s a “biblical principle” to avoid debt. And yeah, voluntarily going into debt is certainly not the wisest course of action when we could, say, exercise patience. Save up for purchases instead of buying now and paying later—with interest. If we’re patient and wise with our money, we might actually keep more of it; it won’t be a struggle to live from paycheck to paycheck; we might even be able to practice generosity for once. But sometimes debt is unavoidable. If you have a government job, but the government shuts down and your paychecks stop coming—yet the president orders you to go to work anyway—you haven’t the time to get a second or third job to pay your bills. As much as you’ll try to avoid it, you’re gonna go into debt. And if you’re convinced debt is sin, you’re gonna feel like you’re forced into sinning… and no you weren’t. Sometimes life takes a downturn. Economies shrink, famines and recessions happen, jobs get lost, people get sick. We live in a fallen world, so life is suffering. But suffering isn’t sin, nor do we suffer because we sinned; our sinless Lord Jesus suffered too. To everything there is a season, Ec 3.1 and sometimes suffering’s the season. We’d know this if we read wisdom literature… instead of mining it for out-of-context proof texts. “Biblical principles” which aren’t of God. 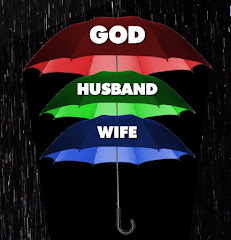 Back in my Fundie childhood I was taught about God’s “umbrellas of protection.” God, they taught, is like a giant umbrella, keeping all sorts of woes off the men who follow him, like umbrellas keep away rain. (Unless the rain’s coming at you sideways. But don’t stretch this simile too far; it falls apart easier than most.) So long that the man stays directly under God, he stays dry. The “umbrellas of protection.” It’s not in the bible, but man is it a popular teaching with sexists. In fact the devout man also becomes an umbrella, keeping all sorts of woes away from his wife and children so long that they stay under him. And like I said, the simile falls apart easily: What is God’s umbrella not deflecting, which necessitates the husband to be an umbrella? Or maybe God’s umbrella is a sexist umbrella and only works on men. I dunno. I just know no umbrellas in the world work this way. Hey, I didn’t invent this illustration. But Fundies use it all the time. Gothard has it in his books. We Fundie kids were taught our place was under the Mom-umbrella, and she was to stay in God’s good standing by being under the Dad-umbrella. Since my dad’s an atheist, I realized rather quickly the umbrella diagram doesn’t describe my family at all. Thankfully, instead of leaping to the conclusion I was screwed, I realized it’s the diagram that’s stupid. But not every Fundie is so discerning. We were taught this “umbrellas of protection” folderol is a biblical principle. It’s not. Not just ’cause the word “umbrella” isn’t found in the bible whatsoever: God never assigned child-rearing solely to women, but to both men and women. Pr 1.8 God never insisted only men work outside the home; in fact the idealized woman of Proverbs works outside the home! Pr 31.13, 14, 16, 24 God expects men to love their wives, Ep 5.25, Cl 3.19 and wives to keep their husbands’ will in consideration, same as they do with Jesus’s will. Ep 5.24 But God never threatens to withdraw his protection from spouses who don’t meet the 1950s American ideal of working dad and stay-at-home mom. See, that’s what a lot of sham “biblical principles” are about: Promoting American traditional values as if they were God’s idea. Like the “biblical principle” which condemns rock music: It’s not based on a valid reason, like when songwriters write immoral lyrics. It’s Gothard’s claim the backbeat (the rhythm found not in every rock song, but definitely in 1950s rock) is the inverse of the human heartbeat, and is inherently anti-human. Seriously; he teaches this. And if it’s anti-human, yada yada yada, it’s not of God; don’t listen to rock. Listen to what Gothard likes to listen to: Hymns. And don’t get me started on all the bizarre “biblical principles” Darbyists use to support some really crazy End Times theories. How can we know whether a “biblical principle” really is taught in the scriptures? Simple: Double-check all the preacher’s proof texts. Are they quoting the bible accurately? Or are they bending it to make their case? Are their interpretations of scripture reasonable, or are they stretching the verses’ meanings beyond commonsense? But the end result is they promote their made-up traditions instead of God’s Law, exactly like Pharisees did in Jesus’s day. And for all the same reasons: Power and control. A false sense of righteousness. Comfort. Convenience. The illusion of religion without really following God. And of course hypocrisy. So any time someone claims “It’s a biblical principle,” make sure it truly is one. If the bible verses they quote sound unsuitable, or misused, examine those doubts. ’Cause it may very well be the Holy Spirit making you doubt. Always follow the Spirit.